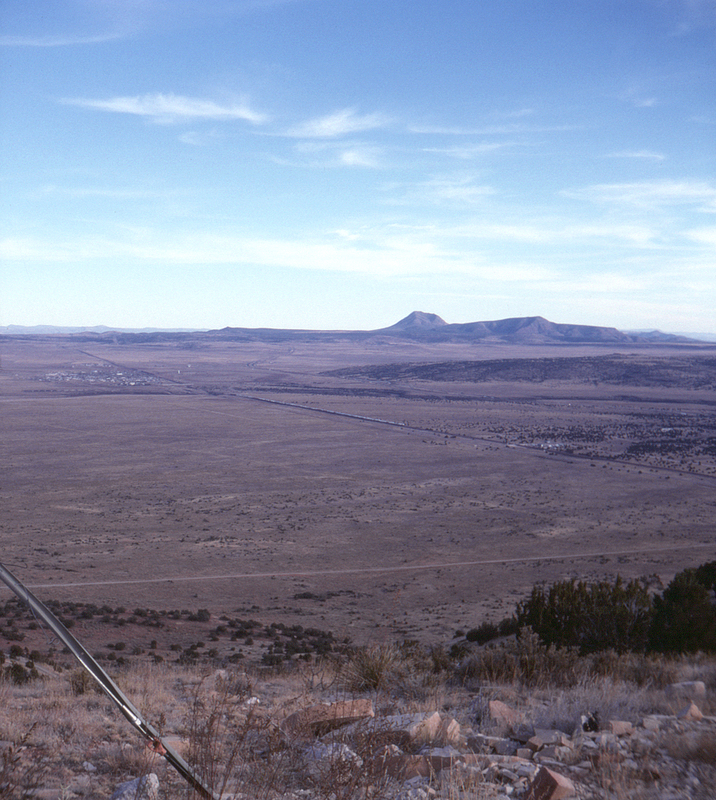 Looking east from Chino Point we see the small town and division point of Seligman, Arizona. In the distance the mainline begins the long climb out of the Chino Valley. Picacho Butte looms in the distance; Interstate 40 is barely visible in the very center of the slide, as is Old Route 66 (now Arizona State Route 66) just this side of the tracks.